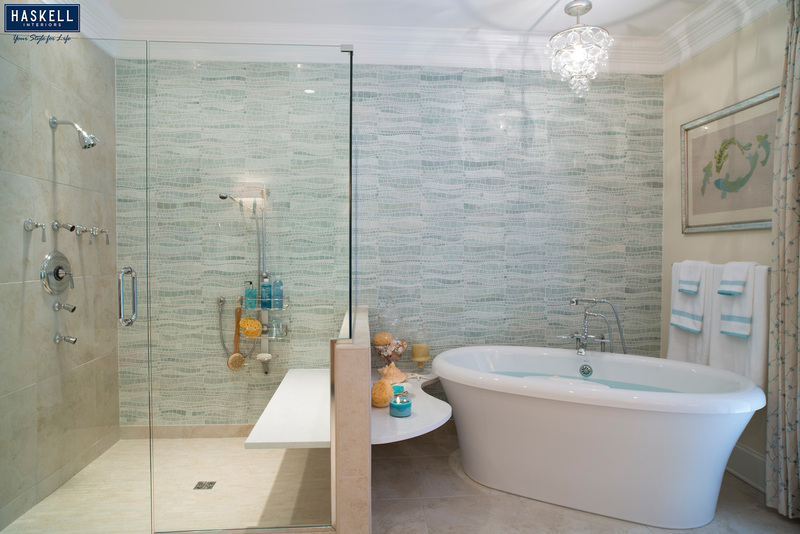 For anyone thinking or planning on renovating or building a new master bath, one of the key components is the bathtub. While today we are seeing some master suites forgo the tub all together, the overwhelming majority of new or remodeled master baths include some type of a tub. 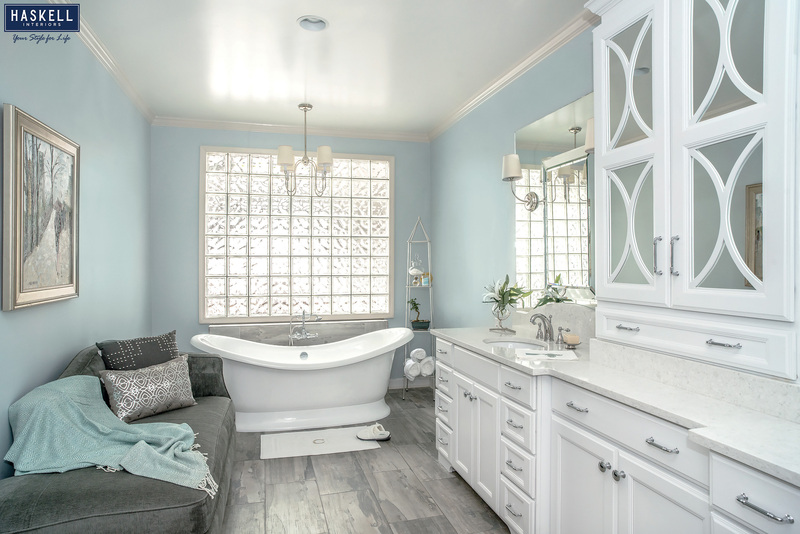 For many homeowners, the chance to have a really nice tub is one of the key reasons they want to update or upgrade and renovate their current master bath. Since the tub is a large item in the master bath renovation, both in terms of cost and size, it is important to understand your choices and to consider what is most important to you in selecting a new master tub. 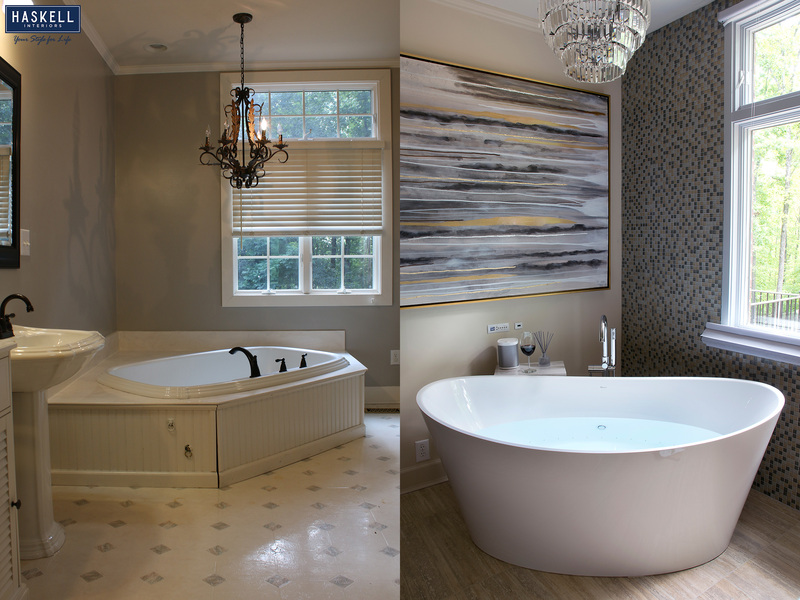 Let’s look at 4 basic decisions you need to make as you weed through the selections that are available and then we will discuss some tips and important points you need to consider as you finalize your decision on the perfect tub for you and your remodel. Built-In vs Freestanding: This should really be the first decision you make. Now, your architect or interior designer may have already provided you with a plan to indicate which type, but you need to make sure that you consider carefully and understand the advantages of both types of installation. In a built in tub, the tub is surrounded and “built in” to a platform. This platform may be covered in tile or tile with a countertop that matches your vanity countertop. Many built in tubs are in an alcove setting or perhaps in a corner style built in platform or in a platform that is under a focal window of the master bath design. In most cases, the tub that is built in will be less expensive than its freestanding counterpart. But you must add in the cost of the platform itself to really compare apples to apples. The built in tub, by its very nature, allows you to have deck space around the tub to place candles, plants, your phone, or music device (or that glass of wine to relax at the end of the day!). The platform also allows for the plumbing and any electrical motor (if you select a therapeutic air/jetted tub) to be easily hidden. 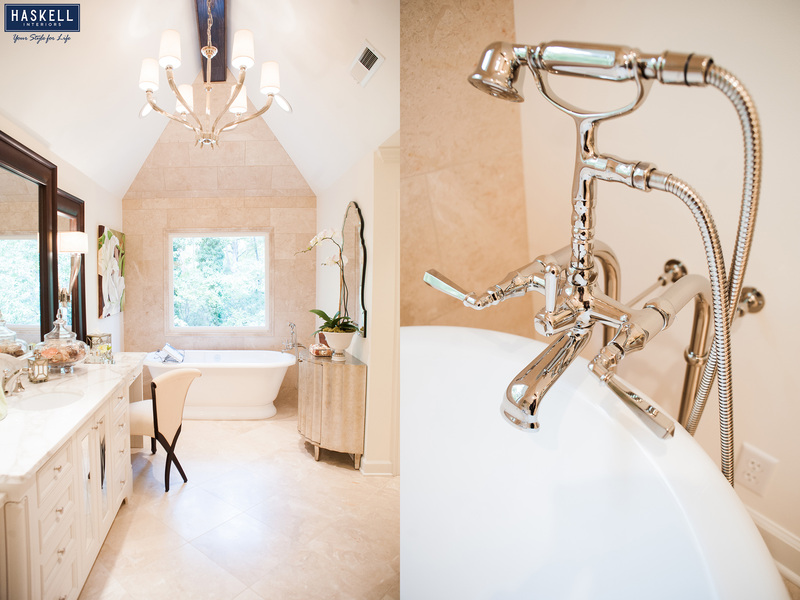 In most cases the tub faucet itself will mount right on the deck of the platform or on the edge of the tub itself. With a freestanding tub, the tub itself stands alone. In this type of installation the tub makes more of a statement. You have lots of choices of shapes to choose from, as well as what type of base it sits on, including the classic claw foot tub. Compared to similar built in tubs, most freestanding tubs will cost more, but do not require a platform for installation or function. A comparable sized freestanding tub will take up less room than a built in tub, allowing you to place a larger tub in a more compact bath remodel space. The freestanding tub allows for more style choices and shapes to really let your personality and the look of your new master bath take shape. For a freestanding tub, you will either have to have the tub faucet be installed directly out of the floor or placed on a back wall, as most freestanding tubs don’t allow for a faucet to be mounted on them directly. Size: Whether you select a built in tub or a freestanding tub for you new home or bath remodel, size is another important consideration. Too small and you are cramped; too large and you will feel the warmth of the water quickly cool. The right size bathtub is essential. I recommend that you go sit in the actual tub before you purchase. It should fit you well and give you enough, but not too much, room to stretch out. Are you going to be bathing by yourself or with another? There are many 2 person tubs on the market and you need to make sure that if that is your choice, you both are comfortable in the tub at the same time. Many times a client has vetoed a particular tub after simply sitting inside of it. Material Choice: In today’s market there are several materials available for your bathtub. Most tubs today, whether they are freestanding or built in models are made of some type of acrylic. This material is very easy to clean and is scratch resistant. It also is easily shaped and allows for manufacturers to create some very interesting and comfortable shapes as well as a variety of colors, especially apparent in freestanding tubs. Less common but very stylish for freestanding tubs are the choices of various natural stones or metal. There are choices in metals such as copper and nickel and available in freestanding styles, tubs made from volcanic material (for its heat retention value) as well as exotic and expensive versions of tubs carved from a solid piece of limestone or marble. As you are pondering the material choices think about the weight. While most acrylic tubs are fairly lightweight, those made of stone can be extremely heavy, even before you add 40-60 gallons of water weight. Make sure that your flooring can handle the weight of a tub, plus the weight of the water. This is especially important if the tub is to be installed on a second floor of the home. Soaking or Therapeutic: The final big decision you must make when deciding on the right tub for your new bathroom design or remodel is whether you want a soaking or a therapeutic tub. In a soaking tub, you do just that: soak. It is all about the calmness and relaxation of being deep in a warm bath. As I mentioned before, you want to make sure that you get a tub that fits you correctly and that you feel very comfortable in. This is not only the length but also the depth of the tub. 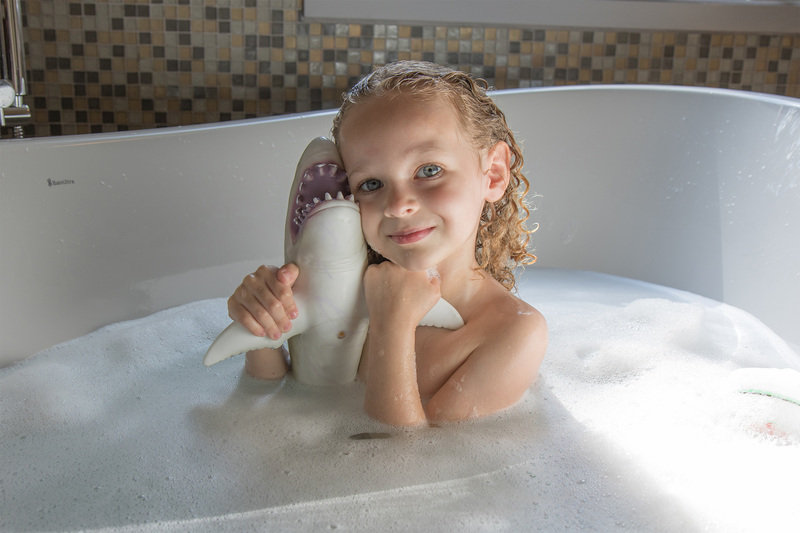 Going for a tub that is extra deep can ensure that you will be completely submerged as much as you feel comfortable with. Soaking tubs are usually a less expensive option because they contain no other features. They can be freestanding or built in and are available in a wide variety of shapes and styles. A therapeutic tub is like a massage right in your own private bathroom. In a whirlpool therapy, jets are strategically placed in the tub and water is circulated and forced thru pipes. In an air tub, hot air is pushed thru the water in the tub. In a whirlpool there are fewer but larger jets that are each adjustable, much like a shower head. In an air bath system, there are many air jets (up to 60-70) that are in fixed positions and they line the tub sides and often the bottom. In an air tub, the water never leaves the tub so you are free to use various bath salts and oils that traditionally are not allowed to be used in a whirlpool jet system, due to the fact that the water leaves the tub and travels thru exterior pipes and sometimes the motor system itself. Also an air tub can allow for its air outlets to be mounted in recessed wells to massage the lower back and the back of the legs. Many of today’s therapeutic tubs feature such spa like features as heated backrests, chromatherapy lighting inside the tub as well as built in speakers for sound and vapor mist features that place scented mists across the surface of the water in your favorite invigorating or relaxing fragrance. Whether you choose a soaking or therapeutic tub will depend on your needs and demands for the relaxing experience you are looking for. But no matter what you demand from your tub, today’s modern tubs can deliver anything from a serene quiet oasis to a therapeutic massage and more right in the privacy of your own home. 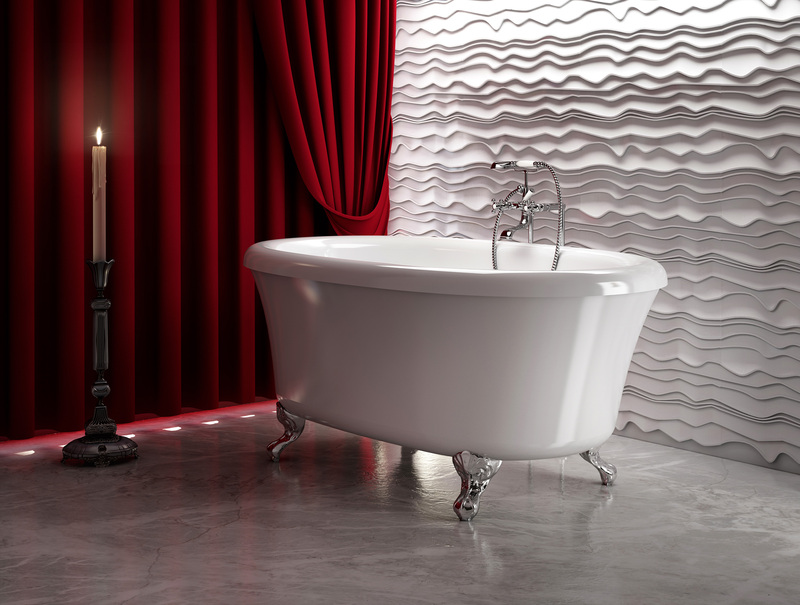 As you finalize your choice for the tub that is just right for you, a few additional things that you need to consider to help make your tub retreat pleasurable. If you are planning on using a freestanding therapeutic tub, think about where you will need and want to house the motor and electrical. In a built in therapeutic tub, the space under the deck itself is a possibility, but in a freestanding tub, you need to look for an adjoining closet or even a place underneath in a basement area. Consider ease of access and noise when deciding where to place any external equipment. Whether you are planning on a soaking tub or a therapeutic one, consider how much hot water it is going to take to fill it up. Many tubs require 45-70 gals of water. If your hot water tank is not up to par, you will definitely not have a great experience. Today, I recommend in many remodels or new builds, to install a tankless hot water heater for the bath. Often no larger than an electrical panel mounted on the wall, a tankless water heater gives you an instant and endless supply of hot water, while being extremely energy efficient. While a bit more costly than a typical 50 gallon traditional hot water heater, most homeowners make up the cost difference in just a few years with the greater efficiency of the tankless models. Plus all the hot water you could ever want! If you are using a freestanding tub, you may want to consider a small table or chest nearby or even a floating or built in shelf on the nearby wall to sit your phone, candles, or music. A built in tub already has a deck top for such items. Finally, consider the placement of your faucet. Whether you select a built in or freestanding tub, you want to consider the faucet placement carefully. First determine which way you will be lying in the tub. You don’t want the faucet where you will be placing your head. That will then give you the other 3 sides to place the faucet. Don’t place it along the back if you cannot reach it easily. Some tubs are so wide that you will be forced to step into the tub to turn on or off the water. Place the faucet where it is easy to reach to begin to fill when starting the bath, but also easy to easy or turn on during the bath experience in case you want to add more water. By following these guidelines and suggestions, you should be able to select the right tub that fits your needs, your style, your body and your budget for your new bathroom or remodel. October is National Kitchen and Bath month. If you are thinking about remodeling your kitchen or bath, give us a call or stop by our showroom to see the latest in products and design that will work beautifully with your home and the way you live today.